When you want to give that special someone just what they’re looking for, Trion:Z Gift Vouchers are the perfect solution. 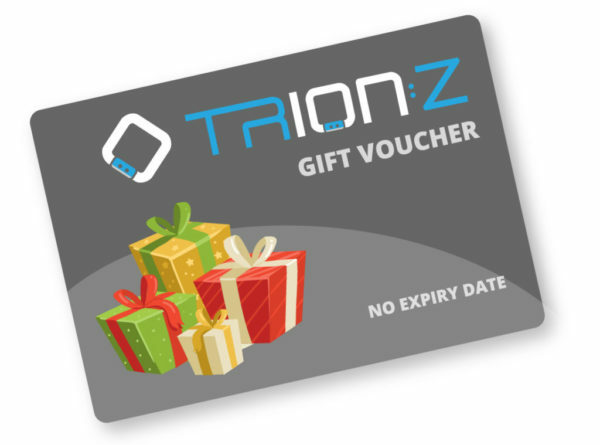 Be it a birthday, wedding, anniversary, Christmas, Mother’s Day, Father’s Day, a thank you, a prize, a business incentive, or an employee reward, Trion:Z Gift Vouchers are available in denominations ranging from £10 to £50, and can be redeemed across the Trion:Z website. Gift vouchers are delivered to your email address, and can be redeemed straight away on our website. And best of all, they never expire! Where Products purchased online with a Gift Voucher are returned, monies owing will be refunded by a Gift Certificate. This is a digital gift voucher delivered to your specified email address. No psychical voucher will be sent via post.